Washington, D.C.- Three decades of harsh criminal justice policies have created a large population of ex-offenders that struggle in the labor market long after they have paid their debts to society, according to a new report from the Center for Economic and Policy Research (CEPR). Because prison records and felony convictions greatly lower ex-offenders' chances of finding work, the United States loses between $57 billion and $65 billion a year in lost output. Last week, a resurgent Republican Party retook control of the US House of Representatives, giving the Democrats a drubbing the likes of which has not been seen for decades. The Democrats lost 61 seats, seeing their side sink to 189 seats to the Republicans' 240. They needed 218 to take over again. The change in control of the House has some serious drug policy implications. There's bad news, but maybe also some good news. Reform measures passed in the current Congress, such as repealing the bans on federal funding of needle exchange programs and implementation of the Washington, DC, medical marijuana program, could see attempts to roll them back. And pending reforms efforts, such as the battle to repeal the HEA student loan provision, are probably dead. Reform friendly Democratic committee chairs, who wield considerable power, have been replaced by hostile Republicans. But the incoming Republicans made slashing the deficit and cutting the federal budget a winning campaign issue for themselves, and will be looking for programs they can cut or eliminate. That could open the door to hacking away at programs that support the ongoing prosecution of the drug war, but it could also open the door for cuts in prevention and treatment programs. As the Chronicle noted here earlier this week, it's not just Tea Party types who want to wield the budget ax. The mainstream conservative Heritage Foundation issued a report just before election day laying out a whopping $434 billion in federal budget cuts, including eliminating the Office of National Drug Control Policy, the drug task force-funding Justice Assistance Grant (JAG, formerly the Byrne grant program) program, and the Safe and Drug Free Schools and Communities state grant program. "Budgetary issues is where I'm most optimistic," said Bill Piper, veteran national affairs director for the Drug Policy Alliance. 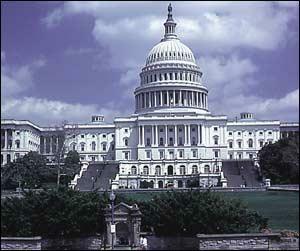 "Given the fiscal climate, there could be real cuts in the federal budget. Next year is probably an unprecedented opportunity to de-fund the federal drug war. These new Republicans are a different breed—anti-government, anti-spending, pro-states' rights, and some are proven to be prone to bucking the leadership. If the Republican leadership votes to preserve the drug war, they may rebel," he said. "We can go after the Byrne grant program," Piper enthused. "That's a very important deal. If we can cut off drug war funding to the states, the states won't be able to afford their punitive policies anymore. During the recession in the Bush administration, when the administration was cutting money to the states, a lot of states passed reform measures because they couldn't afford to lock people up. This time, the federal government has been bailing out state criminal justice systems, but if we can cut or eliminate Byrne grants, the states won't have money for their drug task forces and imprisoning people. Then they will have to consider reforms like cutting sentences and making marijuana possession an infraction." "Sentencing reform on budgetary grounds is possible," said Kara Gotsch, director of advocacy for the Sentencing Project. "From our perspective, that is a way to reduce government spending. 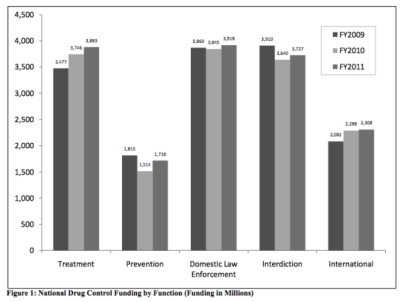 If you want to reduce drug war spending, you reduce costs by investing in prevention and substance abuse programs. That will be part of our talking points, but the reality is, to be successful they're going to have to be bipartisan." Eric Sterling, former House Judiciary Committee counsel and current head of the Criminal Justice Policy Foundation was less sanguine than either Piper or Gotsch about the urge to cut the deficit leading to progress in drug reform. "The prospect of saving money leading to criminal justice and drug policy reform is remote," said Sterling. "In state legislatures where they have to balance the budget, everyone recognizes what has to happen. But in Congress, they know there is still going to be a deficit." Sterling also questioned just how different the Republican freshman class will be from traditional Republicans. "That's a big question mark," he said. "They are younger and bring with them different experiences about drug policy or marijuana in particular, but most of these men and women won by using traditional themes that most incumbent Republicans used, too. I think for them, cracking down on drugs and crime will have more value than trying to save money by funding diversion or correctional programs that aren't about harsh punishment." But Piper remained upbeat. "Next year is probably an unprecedented opportunity for the movement to defund the drug war. The stars are aligning. A lot of tax groups are already on record for cutting some of these programs," he noted. "Given the fiscal climate, we could see considerable cuts in the federal budget. The type of Republicans coming into office, as well as Obama's own need to show he can practice fiscal discipline, means a real chance to cut or eliminate some of those programs," he said. "The down side is that funding for prevention and treatment is likely to come under fire, too." 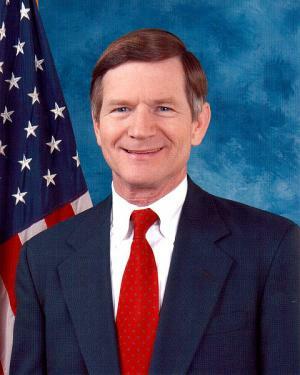 Rep. Lamar Smith (R-TX) -- no friend of drug reform. While budget battles will be fought in appropriations committees, criminal justice issues are a different matter. One of the most striking changes comes in the House Judiciary Committee, where pro-drug reform Democrats like chairman John Conyers (D-MI) and Subcommittee on Crime, Terrorism, and Homeland Security chair Bobby Scott (D-VA) are being replaced by the likes of Rep. Lamar Smith (R-TX), who will head the Judiciary Committee. 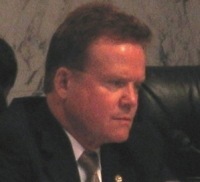 Smith, a conservative old school drug warrior, was the only congressman to speak up against passage of the bill to reduce the disparity in crack and powder cocaine sentences. He also authored a bill this fall that would have made it a federal offense for US citizens to plan to commit acts outside the US that would violate US drug laws. While that bill was allegedly aimed at large drug trafficking organizations, it could have made federal criminals out of college students making plans to visit the coffee shops of Amsterdam. He took to Fox News last month to lambaste the Obama administration as insufficiently tough on marijuana law enforcement, a clip he displays on his web site (scroll over the small video screens; the title will pop up). "The fact that Rep. Smith is going to be the chair will definitely have an impact," said Gotsch. "He was the only vocal opposition to the crack cocaine sentencing reform, and the fact that he is now going to be chair is discouraging. It indicates that he won't be thoughtful about sentencing reforms for low level drug offenders." "The Democratic committee chairs were good on drug policy and unlikely to advance bad drug war bills," said Piper. "Now, with Conyers and Scott gone and Lamar Smith in charge, we can expect stuff like Smith's foreign drug conspiracy bill to come out of that committee." "You couldn’t find bigger champions for reform than Scott and Conyers," said Gotsch. "We won't have them as chairs now; that's probably the biggest disappointment to our community." "Smith has been quite out there in his attacks over the drug issue," said Sterling. "My hunch is that we will take advantage of the political attractiveness of the drug issue to try to have both oversight hearings and legislation that would be embarrassing to Democrats." And don't expect too much from the Democrats, either, he added. "The Democratic caucus is going to be more reluctant to deal with the drug issue in a progressive way than it has been," said Sterling. "They see it as a distraction from the heart of the message they need to bring to retake power in 2012." With people like Smith holding key House committee positions, the drug reform agenda is likely to stall in the next Congress. Instead, reformers will be fighting to avoid reversing earlier gains. "In terms of passing good things, there probably wasn’t a lot more that was going to happen with Democrats before 2012," said Piper. "The important low hanging fruit of overturning the syringe ban, the DC medical marijuana ban, and the crack sentencing bill had already gotten through. We might have been able to achieve repeal of the HEA drug provision, but probably not now." The drug reform movement's job now will be not only blocking bad legislation, but also fighting to prevent a rollback of drug reform victories in the current Congress, such as the repeal of the bans on syringe exchange funding and implementing the Washington, DC, medical marijuana law, said Piper. "They're unlikely to go backwards on crack, but the syringe ban and the DC medical marijuana ban were both repealed with some, but not a lot, of Republican support," he said. "The syringe ban repeal barely passed, and that was in a Congress dominated by Democrats. Will they try to restore the syringe funding ban and overturn DC's medical marijuana program? That's our big fear. Hopefully, we can scrape up enough votes to defeat in the House, or stop it on the Senate side," he said. Piper also dared to dream of an emerging Republican anti-drug war caucus. "We don't know who these new Republicans all are, but some have probably been influenced by Ron Paul (R-TX)," he said. "If only 10 of them stand up against the drug war, that's a huge opportunity to raise hell in the Republican caucus. Almost a third of Republican voters want to legalize marijuana, and that's an opportunity for us, too. Maybe there will be Republicans we can work with and create a truly bipartisan anti-drug war coalition in Congress. That's a foothold." For Piper, the future looks stormy and cloudy, but "the silver lining is in appropriations fights and opportunities to organize an anti-drug war movement in the Republican caucus. We just have to play defense on a bunch of stuff," he said. "The activist community is going to have to figure out what the recipe for our lemonade is," advised Sterling. "That requires first a redoubled effort at organizing, using themes such as the wise stewardship of the scarce resources we have, and what works and what is effective," he said. "It also requires mobilizing people not involved in this issue before, whether it's the business community or people who see their rice bowls been broken by the Republican approach," Sterling continued. "Teachers, nurses, people asking how come the part of the public work force this is protected is the police and the police guards. Drug policy reform activists have to think about what are the alliances they can make in this time of public resource scarcity." New York state Sen. Eric Schneiderman, author of last year's Rockefeller drug law reform legislation, won the Democratic Party nomination for state attorney general in last week's primary election. Scheiderman won 34% of the vote in a five-person race, besting Nassau County prosecutor Kathleen Rice, who came in second with 32%. He will face Republican nominee Staten Island prosecutor Dan Donovan in the November 2 general election. In his victory speech, Scheiderman vowed to follow "the same aggressive, progressive approach" as current Democratic Attorney General Andrew Cuomo, who is favored to win the governor's race. While all five Democratic attorney general candidates vowed to take a hard line on public corruption, help prevent another Wall Street crisis, and protect New Yorkers from terrorism, Schneiderman also played up his drug reform credentials. On his issues page, Schneiderman touts his authorship of Rockefeller reform legislation, adding that the laws "were not only unfair and unsustainable, but an economic and moral threat to every New Yorker," and advertisements running during the campaign cited it as well. The New York Times also cited Schneiderman's championing of Rockefeller reform among its key reasons for endorsing him in the primary. Scheiderman goes into greater detail in his Agenda for the Office of New York Attorney General. 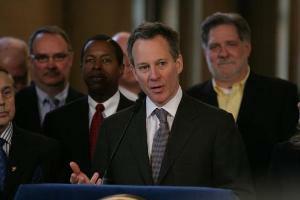 In addition to touting his role in Rockefeller law reform and in cosponsoring the law that forbids law enforcement agencies from keeping files on innocent people who have been stopped and frisked, Schneiderman vows to monitor and report on stop and frisk searches and to examine the criminal justice system for system-wide biases. He also promises to ease rehabilitation and reentry for ex-convicts and to promote a color-blind criminal justice system. Long-time drug reform advocate Jodi James has won the Democratic primary for Florida House District 31, in Brevard County on the Central Florida Atlantic Coast. She will now face Republican incumbent John Tobia (R-Melbourne) in the November general election. James also won the nomination in 2002, only to be defeated in the general election. According to official figures from the Florida Secretary of State's office, James pulled down 44% of the vote in a three-way race. Her two opponents split the remainder, coming in with 28% each. As the South Florida Gay News noted in bemoaning the loss of openly gay, fiscally conservative candidate Joe Pishgar in the race,"But Pishgar was not the only unique candidate in that race. Jodi James handily took the Primary as the NRA-endorsed daughter of a Deacon who wishes to relax marijuana laws and do away with FCAT testing in schools." James has been active in drug reform politics since moving to the Sunshine State in 1995. She is a member of the Drug Policy Forum of Florida and served as executive director of the Florida Cannabis Action Network. She has also been active in Democratic Party politics at the state level. On her campaign web site, James staked out a progressive position on criminal justice issues, saying: "Jodi James believes in a criminal justice system that focuses on restoration for the victim first. She supports everyone having equal access to the courts. Justice can only be served if everyone is equal in the eyes of the law. Jodi supports restoration of civil rights upon the completion of sentences and alternatives to incarceration when public safety can reasonably be assured." In addition, in her "issues at a glance" section, she lists herself as supporting "smart on crime practices that bring justice to the victim" and "sensible drug policies that reduce crime." A link next to that item opens up the web site of Law Enforcement Against Prohibition. With her primary victory, Jodi James has taken another step on drug reform's long march through the institutions of power. Let's hope there are many more reformers following in her footsteps. The National Reentry Resource Center, with support from the Bureau of Justice Assistance, U.S. Department of Justice, has launched the Making Second Chances Work conference website. Conference participants and others interested in reentry can view the videotaped sessions with experts and download materials used during the conference on some of the most pressing issues facing the field. Making Second Chances Work: A Conference for Grantees Committed to Successful Reentry was held May 26-27, in Washington, D.C. It brought together 2009 Second Chance Act grantee representatives. Individuals from state and local governments, community and faith-based organizations, and federally recognized Indian tribes participated in two days of meetings with experts in the fields of housing, employment, mental health and substance abuse treatment, community supervision, and other areas important to people transitioning from prison or jail to the community. Many sessions focused on grantees making the most of the federal investment in their programs by highlighting accountability issues and key practices such as assessing an individual's risk for committing future crimes, designing data-driven programs, and effectively allocating the limited resources available for people returning from prisons and jails. Special attention was dedicated to sharing strategies on meeting the distinct needs of youth returning to schools and families from detention in a secure facility in an effort to interrupt the costly cycle of crime and incarceration. If you have any questions, please contact Shawn Rogers at 646.383.5745 or by e-mail at [email protected]. The National Reentry Resource Center (NRRC) provides education, training, and technical assistance to states, tribes, territories, local governments, service providers, nonprofit organizations, and corrections institutions working on prisoner reentry. The NRRC is coordinated by the Council of State Governments (CSG) Justice Center, with support from the Bureau of Justice Assistance, U.S. Department of Justice (www.ojp.usdoj.gov/BJA). 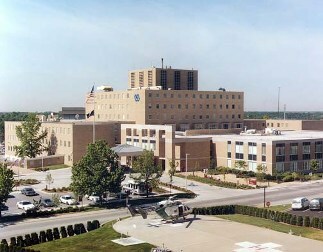 For more information, visit http://www.nationalreentryresourcecenter.org. For more about the CSG Justice Center, see http://www.justicecenter.csg.org. The NRRC was established by the Second Chance Act (Public Law 110-199), which was signed into law on April 9, 2008. The Act was designed to improve outcomes for people returning to communities from prisons and jails. This first-of-its-kind legislation authorizes federal grants to government agencies and nonprofit organizations to provide employment assistance, substance abuse treatment, housing, family programming, mentoring, victims support, and other services that can help reduce recidivism. 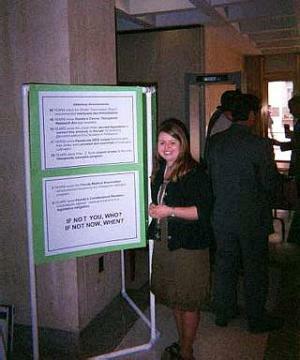 For more information about the Act, see http://www.nationalreentryresourcecenter.org/about/second-chance-act. The NRRC's work also is directed by the Justice Center's key project partners: the Urban Institute; Association of State Correctional Administrators; American Probation and Parole Association; and Shay Bilchik, research professor/center director, Georgetown University Public Policy Institute. Additional guidance is provided by advisory committees that include representatives of nearly 100 leading nonprofit organizations and service providers in the reentry field. Gov. Bill Richardson (D) Monday signed into law a bill that removes one obstacle to employment for people with criminal convictions. The bill, SB 254, the Consideration of Crime Convictions for Jobs bill, will remove the question on public job applications about whether a person has been convicted of a felony, leaving such questions for the interview stage of the hiring process. The bill applies to job application for state, local, or federal public jobs. It does not apply to private sector employers. It passed the Senate 35-4 and the House 54-14. Known as "ban the box," such bills are designed to allow ex-convicts a better opportunity to reenter the job market. Having a job is a key means of reducing recidivism. New Mexico now becomes the second state to pass such legislation. Minnesota passed a similar measure in 2009. Some cities, including Boston, Chicago, Minneapolis, and San Francisco have passed similar measures as well. "Lots of young people -- and old people, too -- have that one stupid mistake they made years ago," said Republican Sen. Clint Harden, a former state labor secretary who sponsored the bill. The bill gives them a chance to explain before they are shut out of the hiring process: "Yeah, I had a felony when I was 22, I got caught for possession with intent, I did probation, that was 15 years ago, and I don't do drugs now and yadda yadda," he told the Associated Press late last month. "We thank Gov. Richardson for signing the 'ban the box' bill," said Julie Roberts, acting state director of the Drug Policy Alliance New Mexico office. "The governor and the New Mexico legislature affirmed their support for people with convictions to be given this opportunity for a second chance. This bill will make our communities safer and keep families together by providing job opportunities to people who need them most." One in five Americans has a criminal record, and Roberts is one of them. She had a drug bust at age 18. "Since then, I've gone to college, I have had internships, I haven't been in trouble for eight years but I still have to check the box," she said. "There's a lot of people like me. This new law will allow individuals who are qualified for a position the chance to get their foot in the door," she said. "As a person with a criminal conviction, this law will not only help me, but others around the state who made a mistake years ago and are now rebuilding their lives." In addition to the Drug Policy Alliance, the bill was supported by the New Mexico Conference of Churches, the Lutheran Advocacy Ministry of New Mexico, the New Mexico Public Health Association, the Women's Justice Project, and Somos Un Pueblo Unido. Gov. Bill Richardson (D) Monday signed into law a bill that removes one obstacle to employment for people with criminal convictions. The bill, http://legis.state.nm.us/lcs/_session.aspx?chamber=S&legtype=B&legno= 254&year=10" target=_blank_>SB 254, the Consideration of Crime Convictions for Jobs bill, will remove the question of public job applications about whether a person has been convicted of a felony, leaving such questions for the interview stage of the hiring process. The bill applies to job application for state, local, or federal public jobs. It does not apply to private sector employers. It passed the Senate 35-4 and the House 54-14. Known as "ban the box," such bills are designed to allow ex-convicts a better opportunity to re-enter the job market. Having a job is a key means of reducing recidivism. The measure passed the Senate 35-4 and the House 54-14. New Mexico now becomes the second state to pass such legislation. Minnesota passed a similar measure in 2009. Some cities, including Boston, Chicago, Minneapolis, and San Francisco have passed similar measures as well. "Lots of young people - and old people, too - have that one stupid mistake they made years ago," said Republican Sen. Clint Harden, a former state labor secretary who sponsored the bill. The bill gives them a chance to explain before they are shut out of the hiring process: "Yeah, I had a felony when I was 22, I got caught for possession with intent, I did probation, that was 15 years ago, and I don't do drugs now and yadda yadda," he told the Associated Press late last month. "We thank Gov. Richardson for signing the 'ban the box' bill," said Julie Roberts, acting state director of Drug Policy Alliance New Mexico. "The governor and the New Mexico legislature affirmed their support for people with convictions to be given this opportunity for a second chance. This bill will make our communities safer and keep families together by providing job opportunities to people who need them most." One in five Americans has a criminal record, and Roberts is one of them. She had a drug bust at age 18. "Since then, I've gone to college, I have had internships, I haven't been in trouble for eight years but I still have to check the box," she said. "There's a lot of people like me. This new law will allow individuals who are qualified for a position the chance to get their foot in the door," she said. "As a person with a criminal conviction, this law will not only help me, but others around the state who made a mistake years ago and are now rebuilding their lives." In addition to the Drug Policy Alliance, the bill was supported by the New Mexico Conference of Churches, the Lutheran Advocacy Ministry of New Mexico, the New Mexico Public Health Association, the Women's Justice Project, and Somos Un Pueblo Unido. Roughly 200,000 US veterans are in prison or jail, many of them there because of substance abuse or mental health issues, according to a new report released Wednesday. The report outlines the problem and suggests reforms that could ease the plight of American soldiers returning from the war zone and trying to make the transition back to civilian society. According to the report, 140,000 vets were in prison in 2004, with tens of thousands more serving time in jails. Nearly half (46%) of vets doing time in federal prison were incarcerated for drug offenses, while 15% of those in state prison were, including 5.6% doing time for simple possession. Three out five (61%) of incarcerated vets met the criteria for substance dependence or abuse. The report, Healing a Broken System: Veterans Battling Addiction and Incarceration, comes at a critical time. With hundreds of thousands of soldiers currently deployed in Iraq and Afghanistan, the US faces a mounting challenge in caring for returning vets. Many are returning home damaged by their experiences. According to the report, 30% of Iraq and Afghanistan veterans report symptoms of Post-Traumatic Stress Disorder (PTSD), traumatic brain injury, depression, mental illness, or other cognitive disability. These medical conditions, if left untreated, can contribute to problematic drug use, addiction, and fatal overdoses, as well as homelessness, suicide, and criminality, particular violations of the drug laws. While the study mentions 200,000 vets behind bars, the number is most likely much higher. That's because owing to problems in data collection -- a problem in itself -- the last year for which hard numbers on vets behind bars is available was 2004. Since then, more than a million more vets have returned from their deployments and mustered out. The report had its genesis about a year and a half ago, when the Drug Policy Alliance (DPA) teamed up with a classroom of law students at Northeastern University in Boston to investigate the obstacles veterans were facing in obtaining adequate access to mental health and substance abuse services. In addition to a series of surprising and dramatic findings, the report also includes a list of specific recommendations about how to improve services for vets suffering mental health and substance abuse issues. "We learned that far too many returning vets are falling victim to the war on drugs because of barriers to effective treatment," said DPA's Dan Abrahamson at a Wednesday press conference. "There are nearly a quarter million vets behind bars right now for crimes motivated in part by mental health or drug addiction problems. One third of returning vets report symptoms of Post-Traumatic Stress Disorder (PTSD). Also, vets suffer from traumatic brain injury, depression, and mental illness at higher rates than normal. All of those are contributory factors to substance abuse and drug addiction, as well as overdose, homelessness, suicide, and being arrested for a non-violent drug offense." In the battle theater, soldiers are supposed to function despite high stress, and the military is more than willing to prescribe them whatever it takes to keep them fighting. But it's a different story when the vets come home. "Service-related drug dependency is being talked about quite a bit in the veterans community, but is not well understood outside the military," said Tom Tarantino, an Iraq war veteran and now legislative associate for Iraq and Afghanistan Veterans of America. "The ease of obtaining prescriptions in theater is staggering," he explained. "I know crack dealers who are more discriminating about issuing drugs than some of the medics I saw in Iraq. It's alarming how many people were just given anti-depressants instead of asking whether they were really fit for duty," said the veterans' lobbyist. "Sometimes, it's just a matter of expediency and life in a combat zone, but then you have vets coming back from an environment where meds are very loosely prescribed and they are confronted with a medical system much more stringent about issuing drugs," Tarantino explained. "And that can cause problems." "Let's be smarter than the problem," said veterans' advocate Guy Gambill. "We can't afford not to be. We arrest too many people and incarcerate them for too long. Then the mark of a criminal record keeps them from getting jobs, housing, and other services, and then the recidivism rate goes up." There are things that can be done, Gambill said. States can change their incarceration policies. Localities can be more proactive. "Chicago police and the LAPD are doing front-end interventions," Gambill noted. "In LA, trained peer specialists are doing ride-alongs with the LAPD so the officers will recognize Iraq and Afghanistan war vets. In Chicago, police are doing crisis intervention training, and the first hundred of them are all Iraq and Afghanistan vets. They'll try to grab these guys at first contact and get them into treatment instead of jail. These sorts of peer-led interventions work very well. We need to catch this on the front end, so we don't have 200,000 homeless vets on the streets like we do now." Another stumbling block is the Department of Veterans Affairs current policy on drug treatment for vets. The VA is willing to offer treatment, but not for vets behind bars. "We need the Department of Veterans Affairs to lift their ban on drug treatment of incarcerated vets," said Tarantino. "We're pleased that the department now has a justice coordinator at every VA hospital, but they're waiting outside the prison door, not inside, when the vets need it most. This is a regulation they can change with the stroke of a pen," he said. Yet another problem for vets, especially those with substance abuse issues, is the lack of access to proven treatments. And because the insurance provided to soldiers by the armed forces also covers their families, lack of access to treatment affects them as well. "Vets don't qualify for substance abuse treatment unless they are diagnosed with PTSD," said Abel Moreno, a former Army sergeant who saw service in both theaters and who now works with veterans through his organization Vets 4 Vets. "We are fighting two wars at once. It's obvious PTSD exists, and it's clear there are going to be substance abuse issues. We've created a subgenre among today's vets where there is a pain pill-popping mitigation ideal. We need quantified data so we can attack this situation head on," he said. It's not only in failing to provide drug treatment absent a PTSD diagnosis where the DOD falls down, said Dr. Bob Newman, MD, director of the Rothschild Chemical Dependency Institute at Beth Israel Medical Center in New York City. "Tricare, the Department of Defense insurance plan refuses to pay for maintenance treatment of addiction with methadone or buprenorphine," he noted. "Maintenance therapy is not a new idea. It's endorsed by agencies such as NIDA, SAMHSA, the Institute of Medicine, and the World Health Organization. The US government supports this, yet DOD has an insurance plan that excludes maintenance treatment without explanation. That's outrageous," he said. Tricare insures not only military personnel, but also their families. Tricare's refusal to pay for maintenance therapy nearly cost Teresa Bridges her daughter. Teresa's daughter, Amanda, married a soldier, Sgt. Shawn Dressler. Dressler was killed in combat shortly after the couple were wed, and Amanda retreated into a haze of Lortab and Tramitol. Tricare paid for her treatment, but after a year, her doctor noted on her records that she was being subscribed maintenance doses of Suboxone. "Suddenly, Tricare dropped her like a hot potato," Bridges said. "Tricare believes taking Suboxone is just substituting one addictive drug for another -- at least that's what they told me. Amanda has done well on Suboxone, and if she stops taking it, she will eventually relapse. Fortunately, she is now in a temporary assistance program, but that will end after a year." Changes in state and federal statutes to focus on treatment instead of incarceration for veterans who commit nonviolent drug-related offenses. Adoption by government agencies of overdose prevention programs and policies targeting veterans who misuse substances or take prescription medications. Significantly expanded access for veterans to medication-assisted therapies such as methadone and buprenorphine to treat opioid dependence. "The care and feeding and support of vets is a national concern and responsibility," said Gen. Stephen Xenakis, MD, Special Adviser to the Chairman of the Joint Chiefs for Staff, Warrior & Family Support . "We are looking to knit together all the various services and institutions so that the soldier who has served and come home and ends up having problems or maybe ended up incarcerated gets treatment from all the sources available." One of the big problems, said Tarantino, is lack of hard information. He noted that the Justice Department numbers in the report are from 2004. "In 2004, there were over one million fewer vets than there are today," he said. "We don't know how many vets are behind bars right now. We have no method for tracking vets unless they interact with some social services. We need to have DOD and DOJ compare lists. We need data," he said. Lack of coordination among agencies dealing with vets is part of the problem, said Xenakis. "We need to better configure what we're doing," he said. "Records are not shared. The Department of Justice doesn't have access to Department of Defense records. We need to get organized so we can track people over time." That effort has the support of the Pentagon, Xenakis said. "Our leadership heartily endorses this," he said. "It is really important that this information that this information is out there now, and that we follow it with the best action plans we can create. As a country, we have a responsibility to support our vets."